This image offers the frontal view of the 2-plane drawing '22 October 2011'. 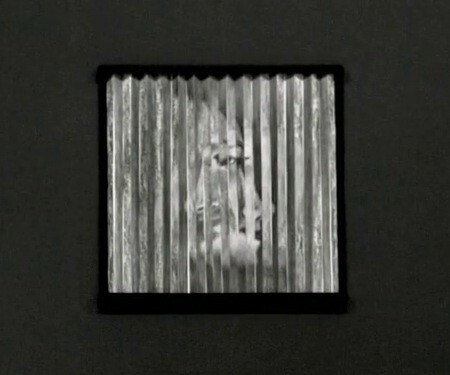 The work changes as one walks by it, as the angled surface alternates between an image of the artist and her husband. It is a reflection on the balance between the self and the relationship, and the commitment of two artists to each other's endeavours.